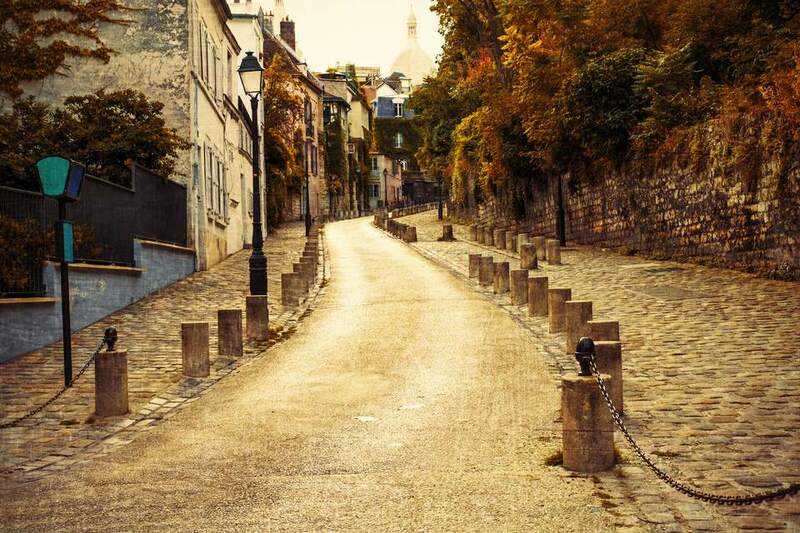 If you're planning a getaway to the French capital with someone special, finding the best spots for romantic walks in Paris is likely to be high up on your to-do list. Paris is a city that naturally exudes romance, so meandering aimlessly (or purposefully, for that matter) is definitely recommended. Naturally, though, some places have more potential to set the mood than others. Here are a few of our favorite places in the city to steal away to with your beau or belle. When you're looking for classic Paris, this area can't be beaten. Meander with your cheri around the opulent galleries and plazas surrounding the Louvre and the Tuileries garden for a classic romantic walk. I also recommend ducking into the splendid old covered passageways, shops, and gardens at the Palais Royal, and exploring the nearby Galerie Vivienne, a quaint arcade that transports you to a Paris of an entirely different era. In fact, the entire area known as the Grands Boulevards offers an old-world glamour and charm that many couples will love basking in together. Try ambling around the narrow streets of the old Marais neighborhood, especially Place des Vosges or Rue de Turenne, for a quaint romantic stroll. Take a few hours to really explore this area, with its quiet, tucked away squares, glamorous old hotels particuliers (Renaissance-era mansions), and remnants of medieval Paris (the Hotel de Sens). It's all but guaranteed to inspire your imaginations — and hearts. This area is also a fantastic place for shopping if you and your significant other enjoy browsing boutiques together. The banks of the Seine River are so associated with romance that we'd have a hard time listing all the films, TV shows, and even works of literature that depict lovers ambling on its banks. But where are the best spots to spend time together, riverside? Try getting off at Metro St Michel and strolling on the left bank, or on the Ile St Louis around Notre Dame Cathedral. If it's warm out, stop for a picnic. You can also consider taking a Paris boat tour and then a stroll around Notre Dame, the Pont d'Alma, or other spots along the Seine, depending on where your boat tour departs from. Of course, sitting by the Seine at dusk is one of the best ways to enjoy sunsets in the capital. The Latin Quarter, with its hidden passageways, antique bookstores, old-world cafes, and elegant gardens, is always a romantic place to amble in Paris. I especially recommend roaming around the St Michel district near the old Sorbonne, strolling through the elegant Luxembourg Gardens, and then perhaps taking our self-guided walking tour of old literary haunts in Paris together. If it's nice out, consider heading up to the Buttes-Chaumont park, a 19th-century example of romantic landscaping, complete with rolling hills, (artificial) grottoes and waterfalls, and dozens of varieties of trees and plants. You can also take a breather from the urban grind by enjoying a stroll at the Viaduc des Arts, a defunct viaduct and railway which has been converted into a promenade of artisan boutiques and a lush above-ground walkway boasting dozens of varieties of plants, trees, and flowers (Promenade Plantee). Itching to get away from the crowds and take in some fresh air? If so, some quiet time together away from the hoopla of the city is definitely in order. Whether you choose to spend a day at Monet's sublime gardens in Giverny, exploring the palace and gardens at Versailles, or the lesser-known Chateau Vaux-le-Vicomte, there are many day trips in easy reach of Paris.